Heading and notes: No form number. Has three red octagonal boxes. Reverse side: Blank with red printed seal. Colours (text & envelope): Red on cream. Size of envelope: 78 × 138 mm. date in lower left corner begins with 188 . 12 October 1883 at Melbourne. Has a blue Postmaster-General Frank Stamp. 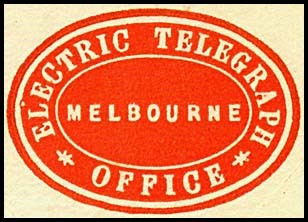 Early use of the Telegraph Branch date stamp for delivery to 6 Queen Street. For the accompanying delivery form, see VC-DO-17A. 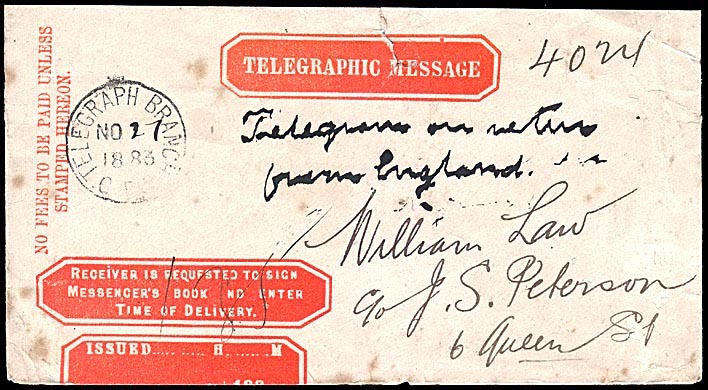 The delivery envelope used for a telegram to the Commissioner of Police with a note about payment on Monday of the 2/- due. Phoenix March 2012 Lot 827. PMG Frank stamp in blue. 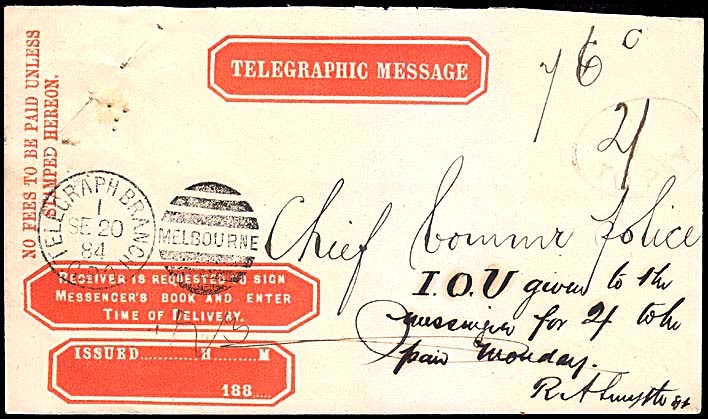 The delivery envelope used for a telegram to Hobart, Tasmania. That use would have been occasioned by a break in the cable. Prestige March 2006 Lot 806. 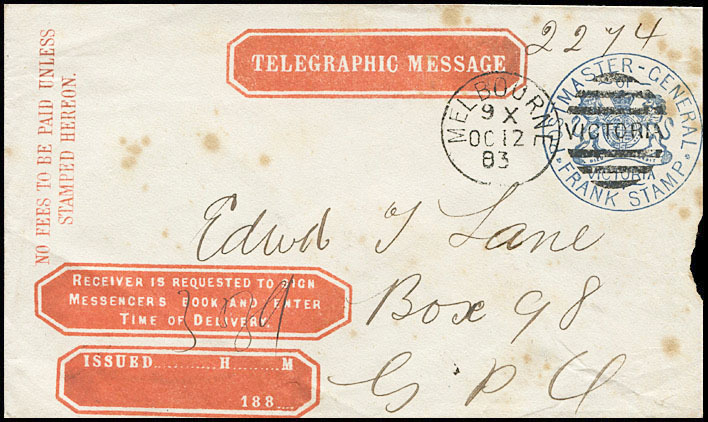 Previous Victorian Colonial delivery envelope (VC-EO-7). 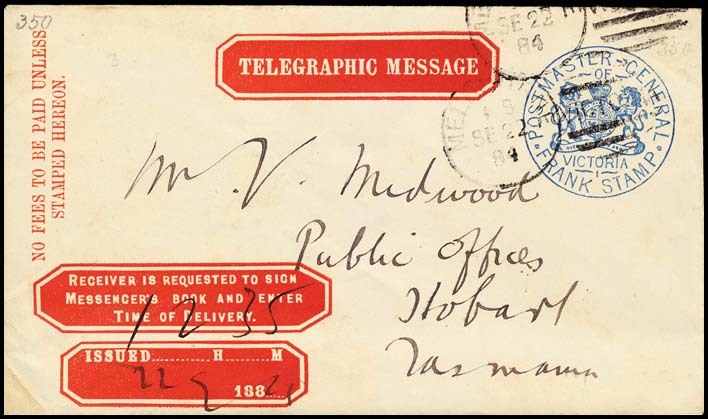 Next Victorian Colonial delivery envelope (VC-EO-9). Overview of Victorian Colonial delivery envelopes.